It has been written that the celebration of Easter is to the calendar year as the celebration of Sunday is to the week. This pithy maxim says something about the marking of time — Christian time. It says something about the quality of that time and about what gives meaning to the continual movement of the future into the past. It points to the centrality of the Easter mysteries for the life of discipleship. In space-time, the core memory that gives significance to the passing of our days and years is that of the Pascha, the Passover of Christ, as we used to proclaim: “Christ has died, Christ is risen, Christ will come again!” Easter over and over again. It is a conditioning of the human imagination into a supercharged mode of temporality: from the tedium of one day after another into the delight of grace upon grace. In other words, from time as a chronological repetition (kronos) to time as a symphonic mystery of love (kairos). Simply put, to be a disciple, a student of the great rabbi Jesus Christ, one must be immersed in the richness of Easter Pascha. We are called to have as the heart of our life the experience of passing over with Christ into a new being. We are called to know a serendipity of God’s presence in the ephemera of the passing of time and things. 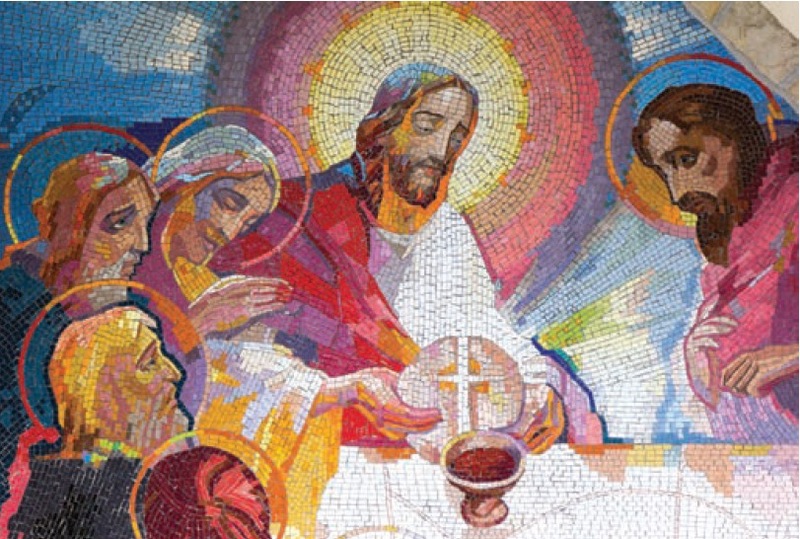 Each and every Sunday, like each and every year at Easter, the Paschal lesson is shared over and over at the great commemoration: the Eucharist. Each week the community gathers for what may be understood as the “repeatable sacrament of initiation” or the “repeatable Pascha.” The Sunday Mass is not what we offer to God; rather, it is the gift that God offers to us, the faithful, in Christ, by the dewfall of the Holy Spirit. Each week we are summoned by God to die before we die, so that when we die there will be very little of us left to die. Each week we rally to come alive in the abundance of life given to those who surrender to the immolation of the old self. Each week we are wooed by grace, ravished by the wounds of Christ and inebriated by the Holy Spirit for good works. Such is the true worship of God. In weekly rhythm, the discipleship is again plunged into the renewal of the Spirit in the watery tomb of death and new life. Baptism again and again. For the Sunday Eucharist is Easter. Easter is Christ’s Pascha. Christ’s Pascha is our life. Our life is found in the waters of baptism. Baptism buries us in Christ’s death. In Christ’s death we are dead and made alive. Aliveness is another name for the Holy Spirit. The Holy Spirit is the heart of all transformation. Transformation into Christ is the glory of God. And God is all in all. This essay hopes to take the reader into what this can mean, as we engage in a climate of change, in a world of peril and in a Church of disarray. To accomplish this exploration, I offer three other pithy maxims that I remember from important moments in my life: if the television isn’t working, see if it’s plugged in; get a routine and all will be well; the predictable is pleasurable. This was the advice of my dad. I remember one day our television was not working, and he said, “Be sure you check the plug.” And there it was; somehow the plug had fallen out of the outlet. The lesson: Before you begin dismantling the appliance, make sure that it is connected to the source. It has been the wisdom of discipleship to stay connected with the source. The Second Vatican Council named the liturgy of the Church the source and summit of Christian life and discipleship. So there you have it: stay connected with the liturgy. My dad’s insight resonates with the council and sheds insight into the way of consistent discipleship. Who would disagree that the Eucharist, as the premier liturgical activity of the Church, is not the source of all faithful discipleship? Communing on the living Christ, week after week, is the fountain of power necessary for honest and true discipleship. In the Sunday Eucharist we renew and are renewed in the covenant of baptism. I recall being reminded of this baptismal renewal in a class with Aidan Kavanagh, the great Benedictine liturgical scholar. He asked at what moment of the Sunday gathering do we solemnly renew the Paschal promises of Easter. The hands went up, and the students responded: During the penitential act? No! At the creed? No! At the consecration? No! At the Great Amen? No! And no one got it. Finally, Kavanagh, shocked by our lack of insight said: “As we respond ‘Amen’ to the minister of Communion who says to us: ‘The Body of Christ.’ ‘Amen!’ ‘The Blood of Christ.’ ‘Amen!’” And my jaw dropped. 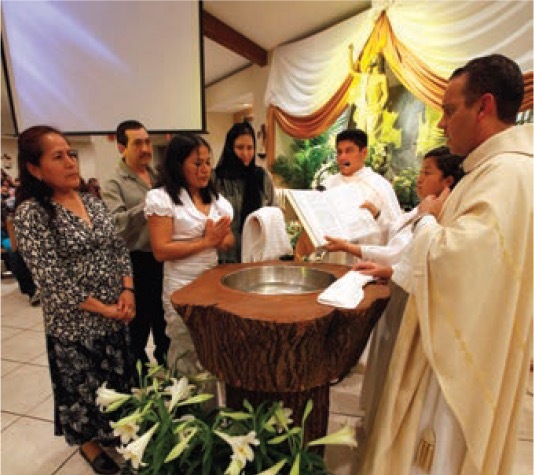 Baptism is renewed in Eucharist. Water and Spirit engaged in sharing bread and wine. Amen. Here it was, as clear as ever: Kavanagh had given us the source. Having engaged in the proclamation of the word of God and hearing a brilliant homily, we give thanks and praise always and everywhere for the world opened up to us by the Scriptures. Like catechumens we hear again the words of everlasting life. We are given again the vision of what the renewed world of Christ is and what it can be for the life of the world. And then, inspired by this wisdom, we come to her table and say, “Amen.” And it is Easter, again, in us. What this means is that the Sunday gathering is not a matter of fulfilling a legal obligation. As common a motive as this may be, it is the unfortunate result of forgetting the source. The source is that dynamic movement of the Holy Spirit that identifies us with the death of Christ — a death freely and willingly accepted; the death we are to freely accept — “Can you drink the cup that I am going to drink?” (Mt 20:22). We are willing to renew our baptism in order to learn to live under the water as fish live (to borrow an image from Tertullian’s early treatise on baptism), as we follow the great ichthys, the great fish, who plunges us into death so that we can be free of death. Each Sunday is that watery Pascha, and “death is trampled down by death” (Paschal Troparion). By way of an interjection, I ask the question: How willing was Christ to embrace death, and when did such willingness begin? A few months ago, at Christmas, my attention was captured by the many carols that speak of Christ being born to die, “with healing in its wings” (Mal 3:20). The God-Human was so enamored with humanity that Christ’s desire to heal us from the fear of death by death was a divine initiative from the beginning. And so it was no surprise when I opened a Christmas gift. It was a statue of the child Jesus leaning against a cross, with arms outstretched in a relaxing embrace of it. The imagination of the artist was celebrating the same Good News: the willingness of God to surrender to us in such great pain and such great love is an allurement for us to do the same. The willingness was from before time, and the cross was there from the beginning as an espousal from birth. It comes as no surprise to me that in some traditions of the Northern Hemisphere, Christmas is considered to be Easter in the wintertime. What kind of death are we speaking of? In the Paschal sacrament of Jesus Christ, we are promised that we will not die forever. And, yet, we do still die. So it is clear that bodily death is not what we are speaking about here. The source is some other willingness to die — some other kind of death. St. Paul in the Letter to the Romans, Chapter 6, a part of which we read at the Easter Vigil, reminds us that it is a death to sin — by that, I understand, a death to the mechanism of sin, the very core and spontaneity of the sinful self. In contemporary terms, that is the ego. Ego has been called many names by spiritual writers: the small self, the old self, the false self, the spontaneously introverted self, the self that holds on for dear life. Baptism is a commitment to willingly and freely immolate that self — like Christ, to go to the death of such a self, eagerly, so that I no longer cling to the illusions of power and possessions for my worth and identity. We have been plunged into a new way of living, by a new way of dying. Good Friday and Easter become one descent into the place of the dead. From this descent we ascend into the new humanity that we are called to be in love. Such a love becomes the real martyrdom — not just the physical death of those eaten by lions and thrown into the pyre, for without such Christening love, we are nothing. The Sunday assembly becomes a social-network place, and we attend only to get something out of it by way of entertainment and divertissement. The weekly Pascha is the eternal Pascha of the love of God given to all creation so that all creation may return to the source of love that Dante speaks of at the close of his masterful trilogy, “The Divine Comedy”: “L’amor che move il sole e l’altre stelle” (“the love that moves the sun and all the other stars”). When I first left for theology studies at the University of Louvain in Belgium, I was only about 20 years old. I took a Pan American jet from New York City to Brussels. My parents and our pastor, Msgr. Spina, were there at JFK airport to see me off. As I was about to say goodbye, I remember saying, “Follow the yellow brick road,” and I began to cry. It was my first time away from home, and so far away. There were no text messages, emails or cellphones. And long-distance calls were very expensive. All I would have to connect me with my family and friends would be letters. We call it snail mail these days. I was afraid I would be so homesick that I would not be able to do my work, graduate and be ordained. Msgr. Spina, a most intuitive person, realizing my emotions of loss and fear, took me aside and said, “Richard, get a routine and all will be well.” And he was right. I arrived and settled in with his departing words as a searchlight. I did get very homesick and was ready to leave. Then his words rang clear and true. I got a routine and, like magic, all was well — so well that when I completed my studies I wanted to stay. There was a big lesson here. How easy it is to get lost and alone in our lives; how easy it is to become disoriented in a world of shattered dreams. Ever since that day at JFK, routines have been a source of order and deepening presence. And they work. They offer a pattern, a ritual, a way to practice — or, as Alcoholics Anonymous puts it, to fake it until you make it. Rituals are routines. My guess is if we could have interviewed early Christians, especially in the eras of flagrant persecutions, they would have agreed with my old pastor: gathering week after week is a routine that brings hope and allows for the source lessons to be learned by heart. They would say, as some liturgical theologians have said, that Sunday gatherings are a routine that practice the mystery of Pascha, and by communal singing and remembering we encourage the death of our twisted selves to flourish in the likeness of our true self, the Risen One. And the kingdom of God appears. All is well. The Sunday pattern of praise gradually gave way to daily celebrations of the Eucharist. This overabundance of memory certainly can impact our willingness to embrace our baptismal deaths with eagerness. However, it is also a possibility that too much routine can become counterproductive. 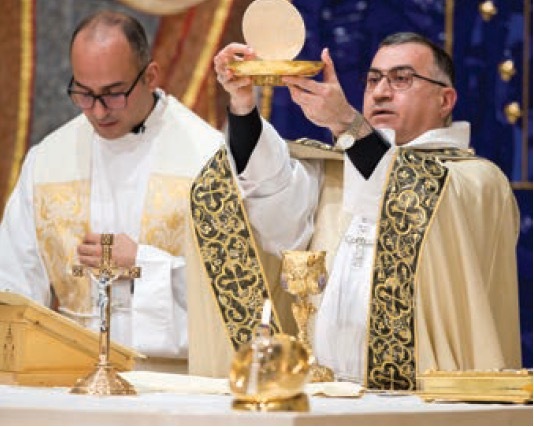 Rather than producing saints, the ritual routine of the Eucharistic celebrations can become boring, wearying and soporific, producing cynics and terrorists. Rather than inviting us to eat the bread of Christ’s death and live, the rituals become empty rites with no depth. We often hear of clergy, liturgy directors and church musicians for whom the celebration of Mass becomes more of a drudgery than a death; more a job than a joy. It is no wonder that even canon law limits the number of Eucharistic celebrations that a presbyter is allowed to preside at on any given day. This injunction is a valuable caution against entering Easter as just another day, making kairos into another kronos. That said, it is vital that the regularity of Sunday be kept as a sacred routine to shape our courage to die over and over again into a community transformed into the Body of Christ for the salvation of the entire planet. This final maxim is a gift of the late Bishop Kenneth Untener of Saginaw, Michigan. 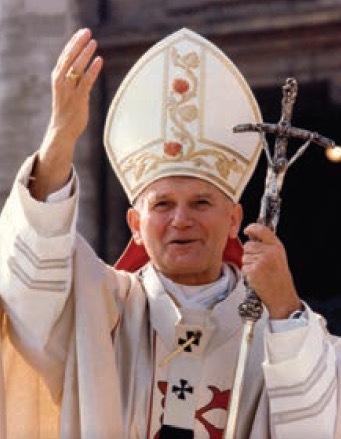 I will never forget his spirit and the gracious presence he brought to the celebration of the Eucharist, both in word and gesture. 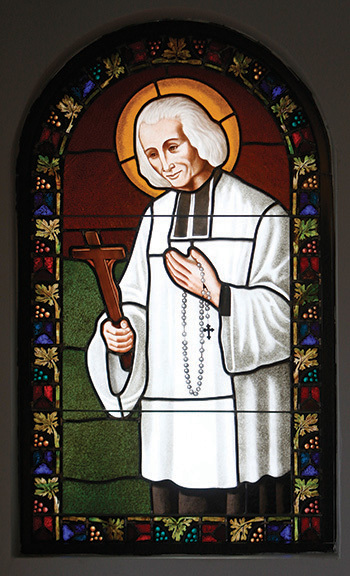 Once, he attended a symposium held at Catholic Theological Union. It was a symposium on liturgy and preaching. We debated whether or not liturgical preaching was biblical. Indeed, it was scriptural; that was not the issue. Was it biblical? There was a difference because the Lectionary is not the Bible. The Lectionary severs the scriptural passages from the Bible and recontextualizes them into a new book, a liturgical book, the Roman Lectionary. I am not sure he got the point, since his own expertise was the Bible. However, did he ever preside and preach as beautifully as he did when we gathered for the Easter memorial that Saturday evening? He began the homily with these words: “Liturgy is the pleasure of the predictable.” I never forgot these words. I repeated them over and over again all that following week. I knew there was something very wise in his pithy insight. The pleasure of the predictable! We know what comes next each time we gather for the repeatable sacrament of initiation. It does repeat. It is predictable. And, therefore, we can relax into the pleasure and joy of surrendering to its mystical rhythm. It is the pleasure of being taken into place of rest. It is the joy of not having to be in control of what happens next. The event of the liturgy unfolds with the ease of a Mozart piano concerto we have heard a hundred times or a Mahler symphony that takes us into a world not made by human hands. It draws us into its predictable cadences and melodic turns, and each time it is ever old and ever new — perhaps a new orchestra, a new conductor, a new pianist, a new chorus, and all the while the same score of music. With each repetition of the music our souls are given a fresh entrance into the beauty that we hear anew with each performance. We hear things we have never heard before. Our souls are given the pleasure of heaven on earth. Let those who have ears to hear, let them hear. This is why it is so essential for those who are given the charge of the Sunday Eucharist liturgy to be as virtuosic as those who thrill us at the symphony hall. While the liturgy is not a show, it is still a communal performance of a predictable routine that gives presence to the source of life and a peering into the mystery of death, which is the mystery of life in Christ. Full, active and conscious participation becomes full, active and conscious surrender to the pleasure of the breathing under the water, baptized in the blood of the Lamb. Would that the Sunday Easter be as soulfully pleasurable as a Mahler symphony. I often wonder if the appeal of the extraordinary form of the Roman rite is an appeal for such beauty. I wonder if the millennial generation, who know nothing of the Tridentine rite, desperately are looking to this form for the pleasure of the predictable, to guide their dying and rising. 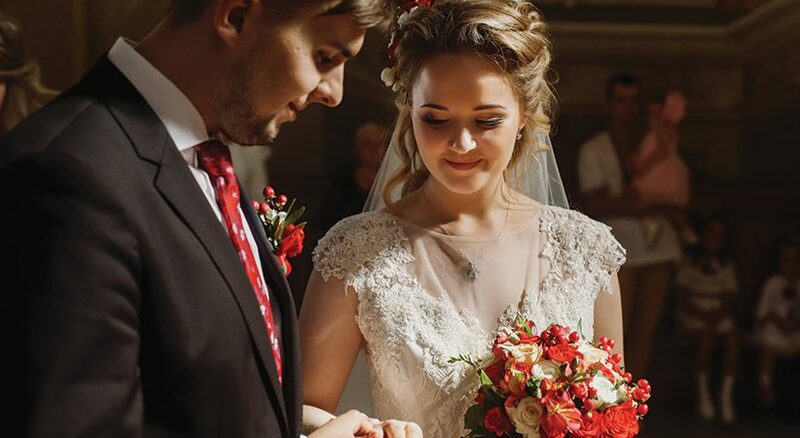 This becomes a vital invitation to those of us who lead the liturgy, to a presence and attentiveness to the beauty that exists in the novus ordo, waiting to come alive in our bodies, voices and hearts. 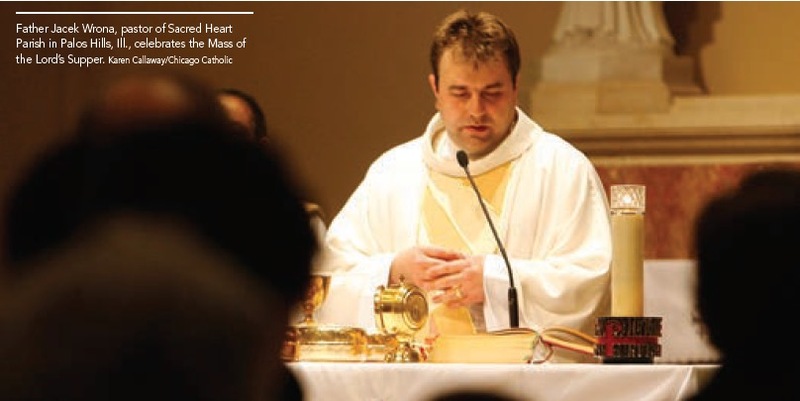 FATHER RICHARD FRAGOMENI, Ph.D, is a priest of the Diocese of Albany, New York, and a professor of liturgy and preaching at Catholic Theological Union in Chicago. 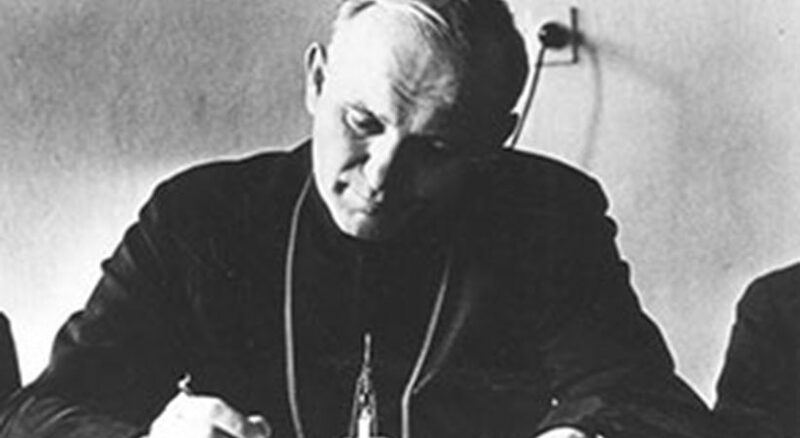 Originally I was going to take this invitation of the magazine’s editors to write a summary of Pope St. John Paul II’s document Dies Domini. It was published on May 31, 1998, and is a great resource on keeping the Lord’s Day. To the image that Sunday is to the week as Easter is to the year, we are invited to imagine the same of Pentecost. As the 50th day of Easter is to the year, so, too, is the “eighth day” of the week a new pouring out of the Holy Spirit! The Spirit is given to us by the Risen Christ in the water and the oil and the bread and wine that we might die his death willingly and live a life that no death can destroy. Amen.